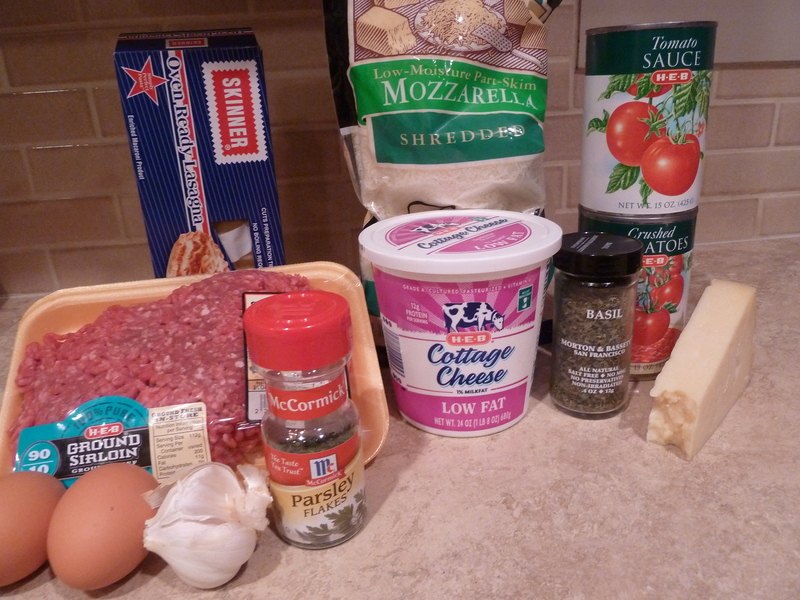 dad’s birthday week: lasagna | Is there any wine left? Lasagna is one of my dad’s favorite meals. He orders it more than anything else at Italian restaurants and he loves when my mom makes it for him. When I was 11 or 12, I loved lasagna more than any other food too. For my birthday, my parents decided to take me to a nice Italian restaurant so I could get fancy lasagna to celebrate. However, when it came to the table it had English peas in it. WHO IN THEIR RIGHT MIND puts English peas in a perfectly good lasagna? Needless to say, I did not get to enjoy lasagna on my birthday that year, but my mom makes a mean lasagna that has been better than anything I could get in a restaurant anyway. Friends, I am going to rock your world with this next picture. See where it says “oven ready lasagna”? 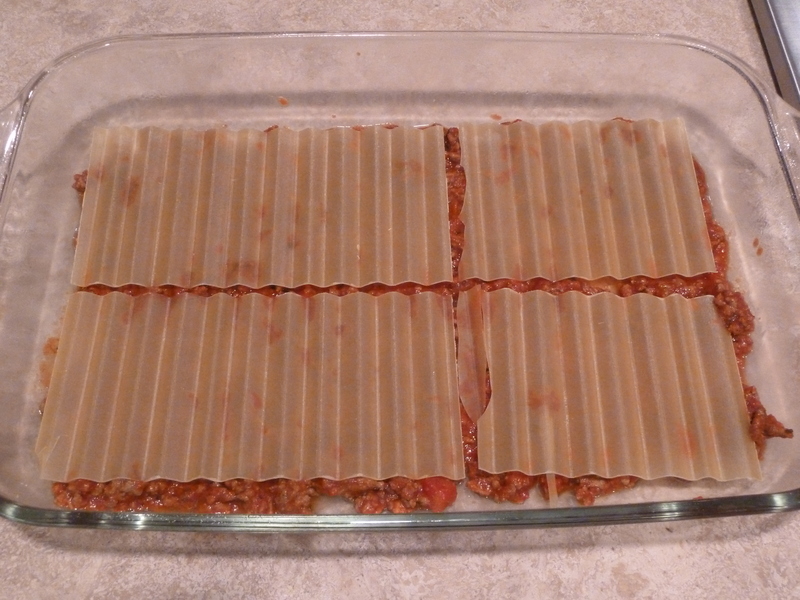 These noodles require NO BOILING before baking in the lasagna! Seriously! 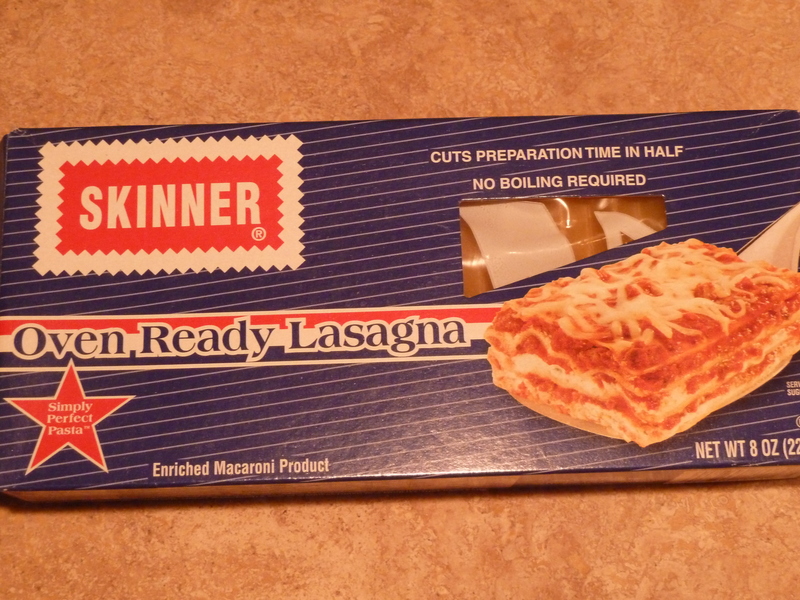 I don’t know how they do it, and I don’t care, but this is all I use nowadays for lasagna. 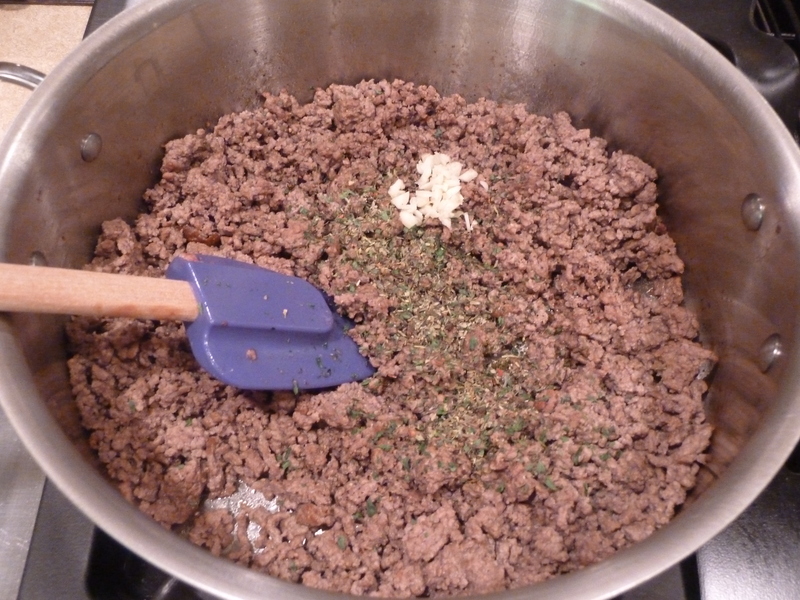 Start by browning the ground meat in a saute pan. Once it is brown, drain the fat from the pan, then add the basil, oregano and parsley. 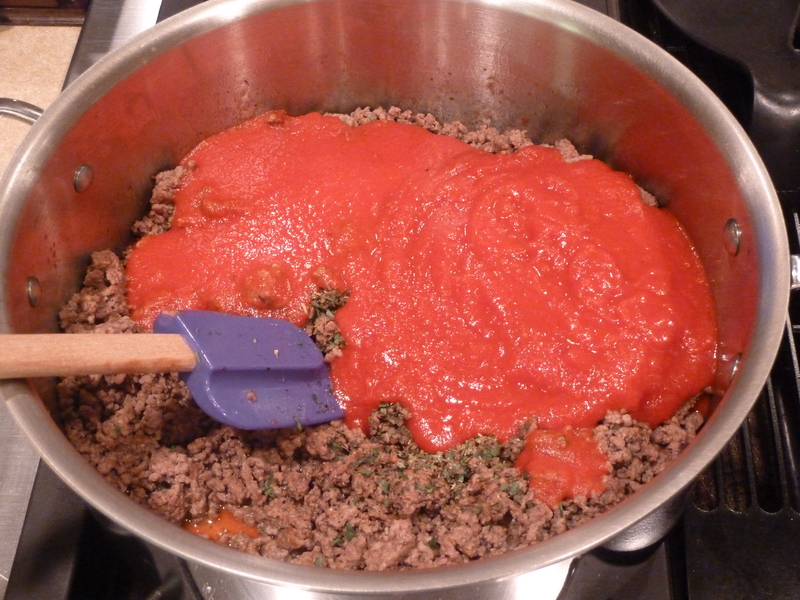 Next, add the tomato sauce and crushed tomatoes. Stir to combine then bring to a boil. 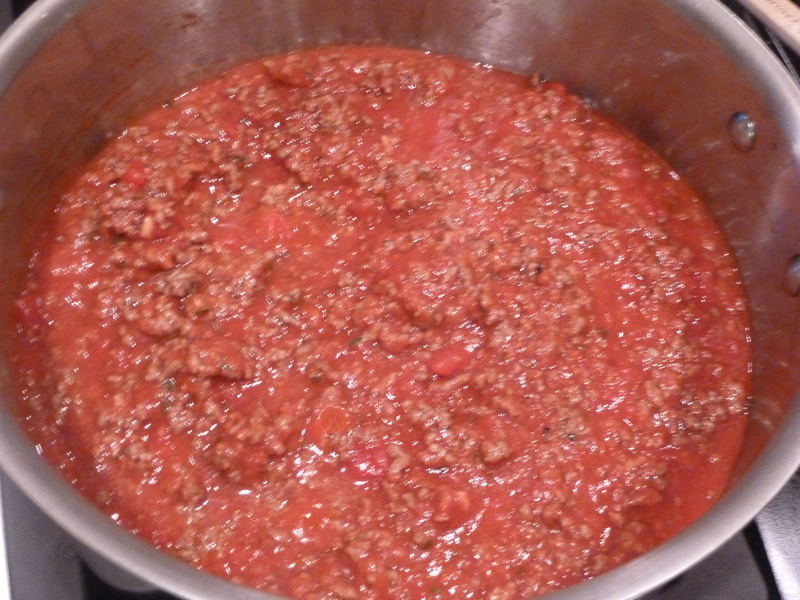 Once it is bubbling, turn the heat down and simmer for 45 minutes, until the sauce thickens. 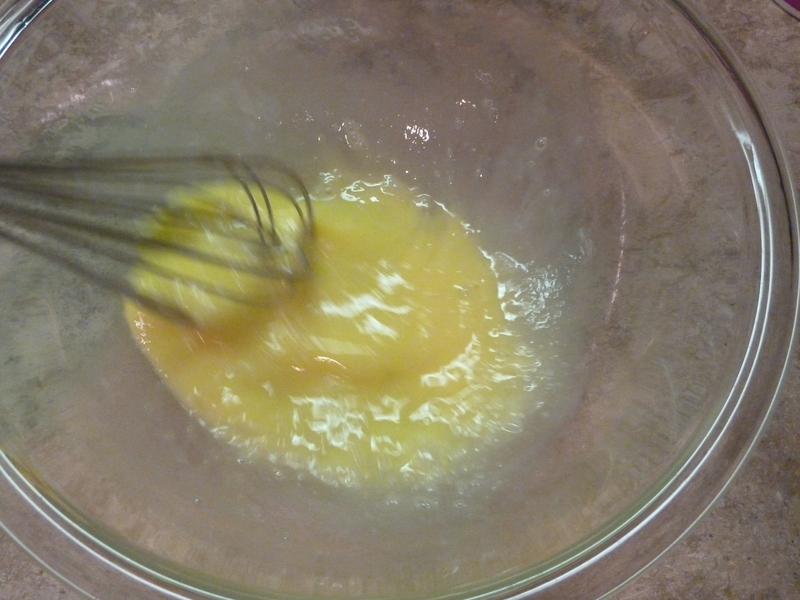 While the sauce is simmering, beat two eggs in a mixing bowl. 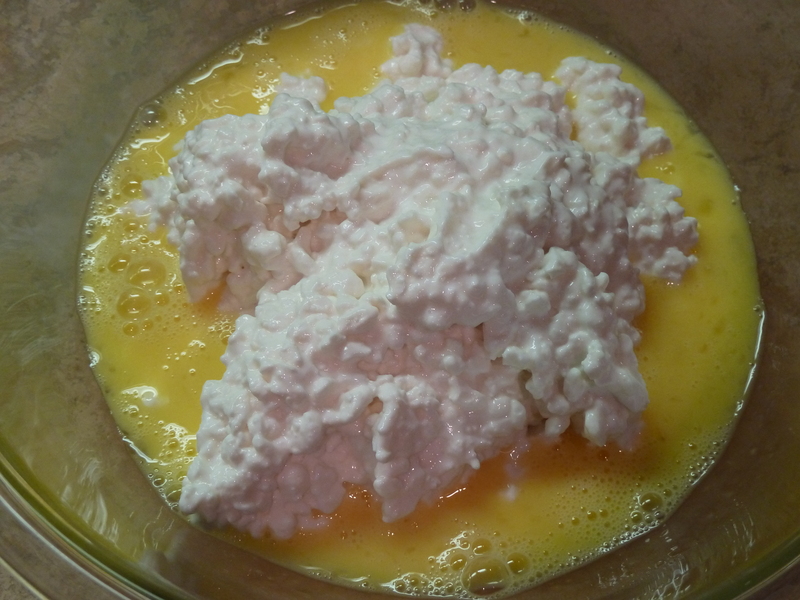 Add the cottage cheese to the beaten eggs. The cottage cheese makes the lasagna really rich and creamy. Then add the parsley, salt and pepper. 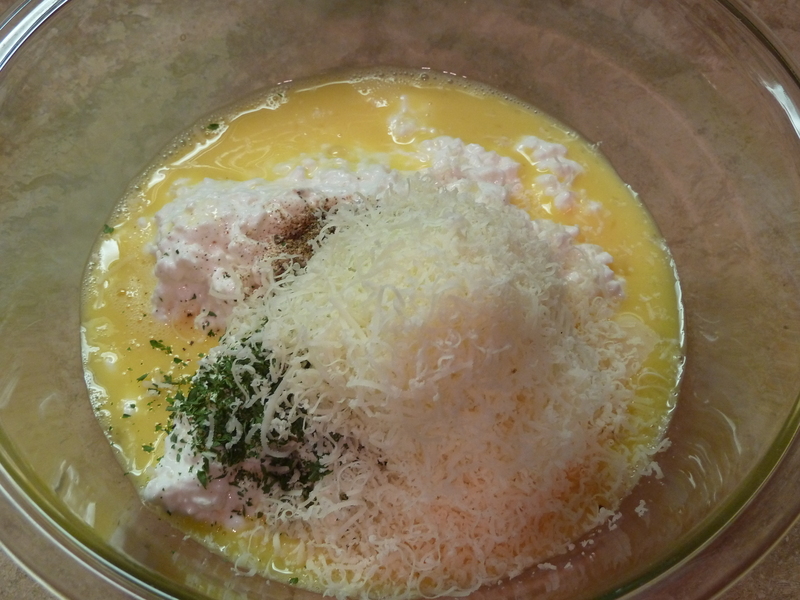 Finally, add the grated parmesan cheese. 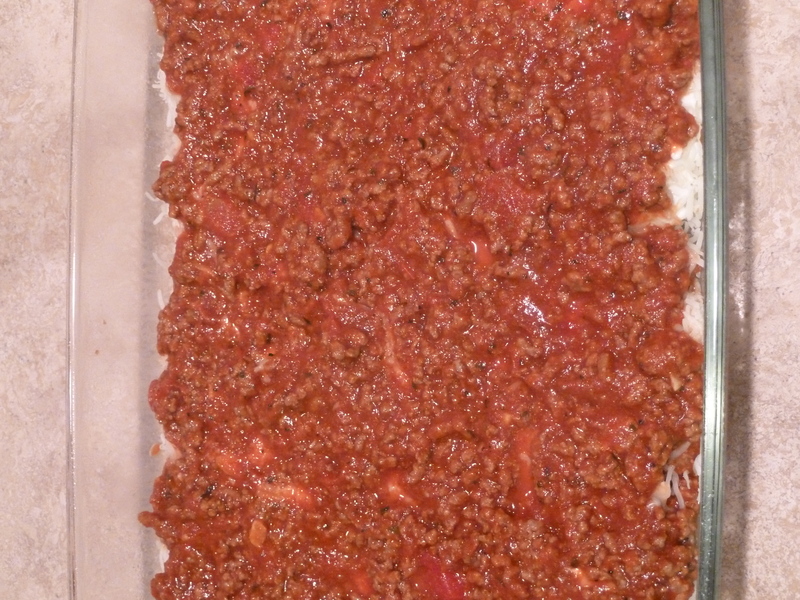 In the bottom of a greased 9″ x 13″ pan, spread a thin layer of the meat and tomato mixture (about a 1/5 of the total meat sauce). 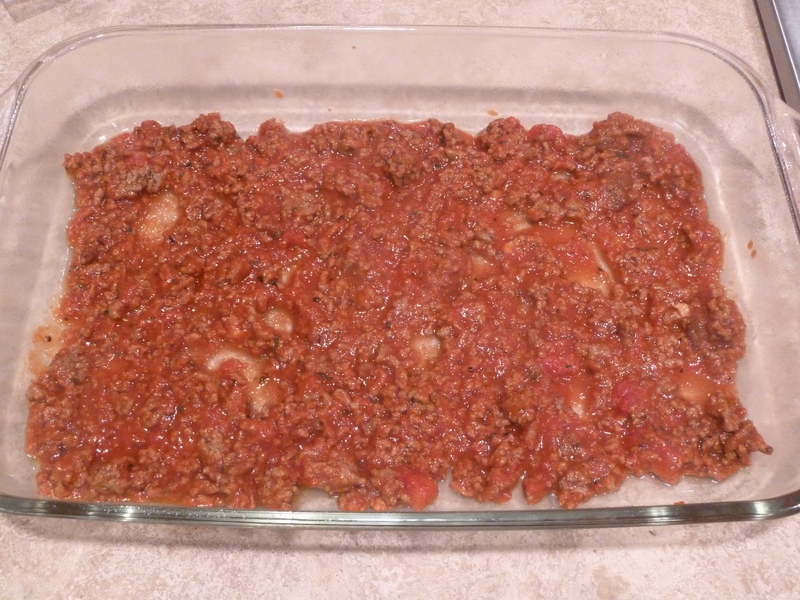 Lay as many lasagna noodles as you need to fill the pan on top of the meat mixture. 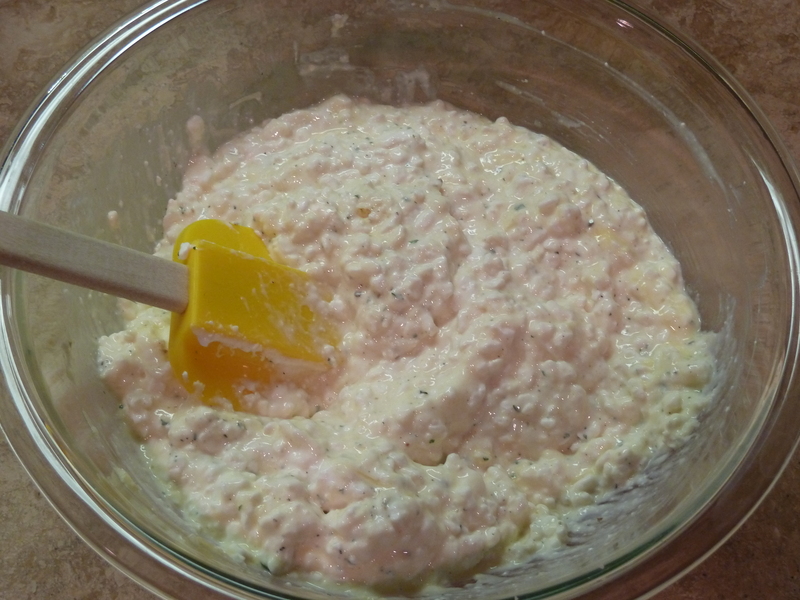 Then spread 1/2 of the cottage cheese mixture on the noodles. Cover the layer of cottage cheese with shredded parmesan cheese. Finally, add a layer of the meat mixture. Repeat the noodles, cottage cheese mixture, mozzarella cheese and meat mixture once more. Sprinkle a thin layer of mozzarella cheese over the top. Bake at 375 degrees F for 30-40 minutes, and let rest 10 minutes before serving. Brown meat slowly in a large skillet or pot; stirring until meat crumbles. Drain and add garlic, parsley, basil, oregano, salt, tomatoes, and tomato sauce. Simmer uncovered until thick, 45 minutes to 1 hour; stirring occasionally, being careful not to let it stick and burn. 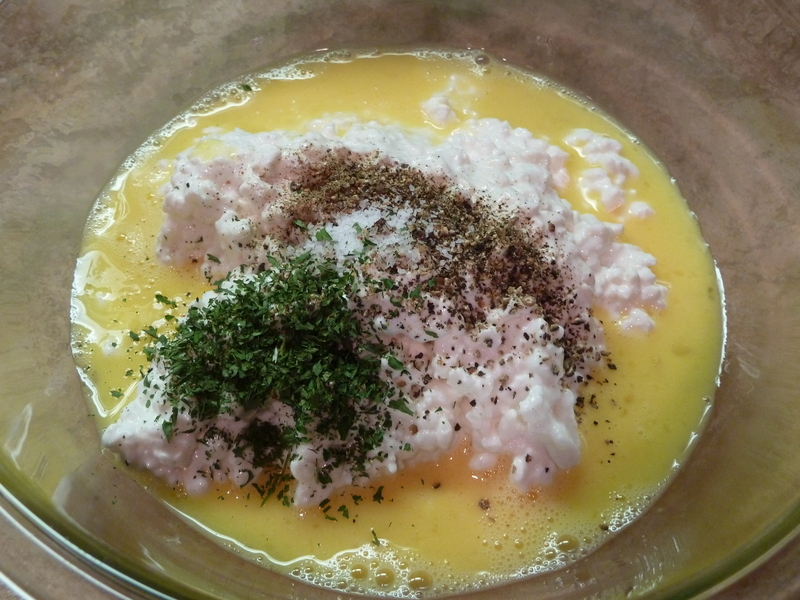 In a large bowl, mix cottage cheese, eggs, salt, pepper, parsley, and Parmesan cheese. 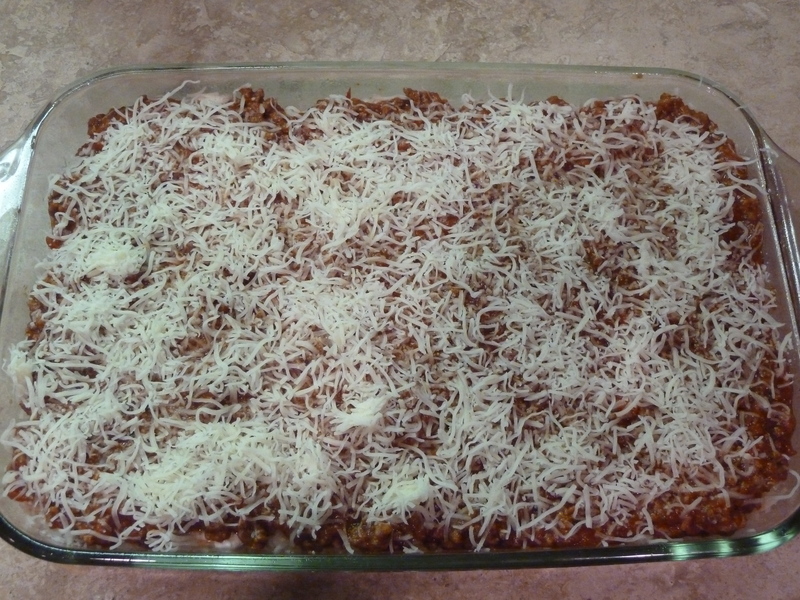 To assemble the lasagna, spread a thin layer of the meat mixture in the bottom of 9 s 13” baking dish sprayed with Pam. 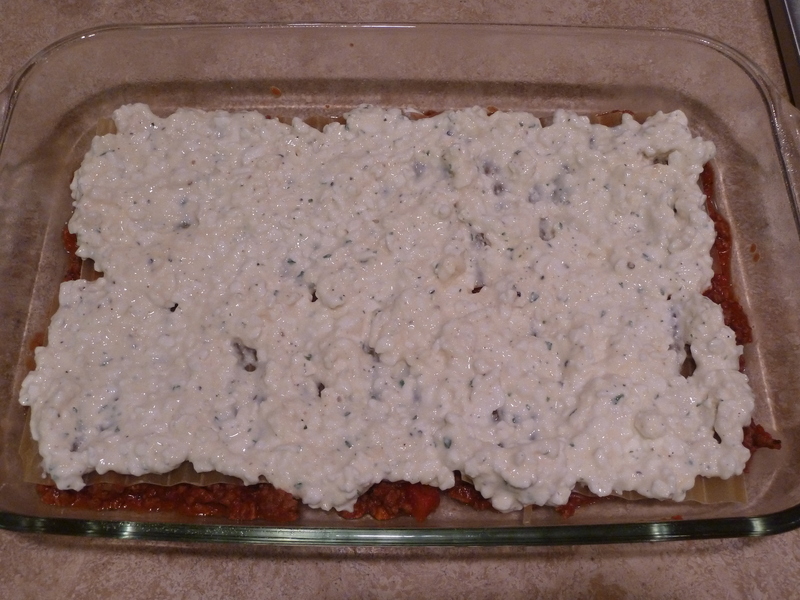 Cover the meat mixture with lasagna noodles, then spread 1/2 of the cottage cheese mixture over noodles. 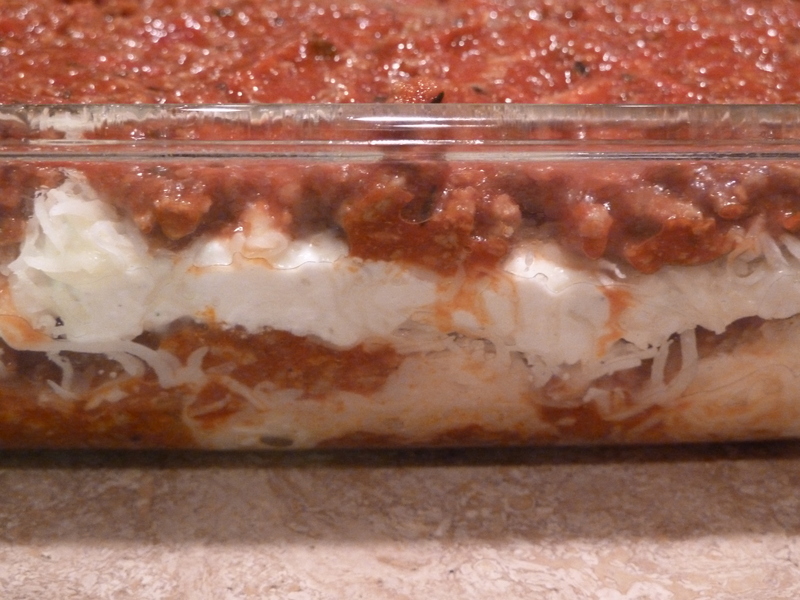 Cover the layer of cottage cheese with mozzarella, then a layer of the meat mixture. Repeat layers. 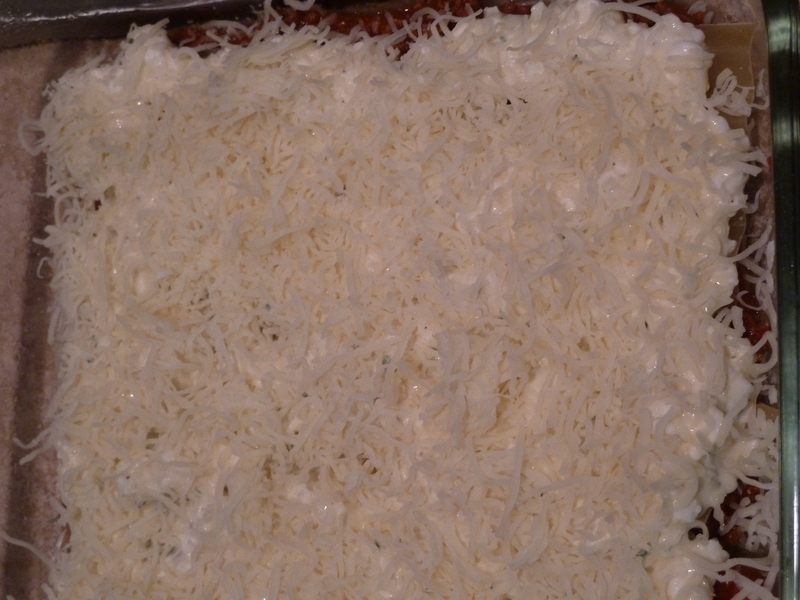 Finish with a thin layer of mozzarella cheese on top. Bake at 375° for 30-40 minutes. Let stand 10 minutes before serving. Make my mouth water just reading the blog! Yummm!! !